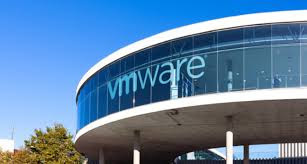 VMware, Inc, a global leader in cloud infrastructure and business mobility, has introduced the 2016 State of the Digital Workspace Report, a global survey of business and IT decision makers, practitioners and influencers. The report unveiled that organizations taking a digital workspace first approach that aggregates devices, applications and services while securely managing them through unified common access and identity – experience business, operational, and financial benefits while those that wait are falling behind. Respondents acknowledged that game-changing IT relies on organizations adopting a digital workspace that includes security and identity management as vital components. With realistic prospects of achieving astounding return on investment (ROI), even businesses that cited obstacles to adoption may want to consider taking another look at business mobility initiatives. · ROI from business mobility investments averaged 150 percent overall. · That said, only 30 percent of their non-executing peers realized improvements. · 39 percent of decision-makers realized cost improvements to support end–users after embracing digital workspaces (compared to 23 percent among those that did not). · Nearly half of organizations (48 percent) that have successfully executed mobility initiatives saw improvements in their ability to more rapidly introduce new revenue streams, compared to 34 percent among organizations that have not executed a single initiative. · Among those organizations executing 10 or more business mobility initiatives, 52 percent saw improvements in their ability to more rapidly bring new revenue streams online. · Meanwhile, among the organizations executing fewer than five mobility initiatives, only 38 percent saw improvements. · Concerns about security were top of mind among executives and nearly half of executives (45 percent) viewed a digital workspace solution that includes the necessary elements of security and compliance tools, mobile device management software, and identity management as a way to address compliance and security risks. · In particular, 43 percent of financial services leaders pointed to identity management software as a necessary element in the financial services segment.